1. Which hour was most daunting for you? I don't know if I would call it daunting, but it was frustrating when making dinner took longer than I expected. 3. Which books would you recommend to other Read-a-thoners? Ella Minnow Pea is a great readathon choice, and you can't go wrong with comics. I really enjoyed Magpie Murders, but it clocks in at 500 pages so you're dedicating a big chunk of the day to one book. 4. What’s a really rad thing we could do during the next Read-a-thon that would make you smile? 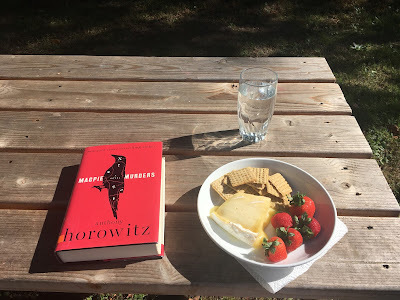 Having the readathon makes me smile!5. How likely are you to participate in the Read-a-thon again? Would you be interested in volunteering to help organize and prep? If I am home, I am always readathoning and I can help out too! 4. Have you had many interruptions? How did you deal with those? Went with it, because I love those kids of mine. 5. What surprises you most about the Read-a-thon, so far? I don't know if I'm surprised, but I'm pleased that time is moving at a normal pace. It doesn't feel like 8 hours went by in 20 minutes of reading! Hi everyone! I meant to do an update at hour six, but some children and one awesome husband came home so I needed to play My Little Pony and hear about video games for a bit. I went and read outside for a while, because it's beautiful out and a change of scenery always works well. So far, I've read all of Petty Theft (100 pages), about 300 pages of Magpie Murders, and 40 pages of We Have Always Lived in the Castle. Now it's time to find a quiet corner of the house and get back to reading! What are you reading right now? Reading in bed with coffee for the Books and Beverage Challenge (and because it's awesome). 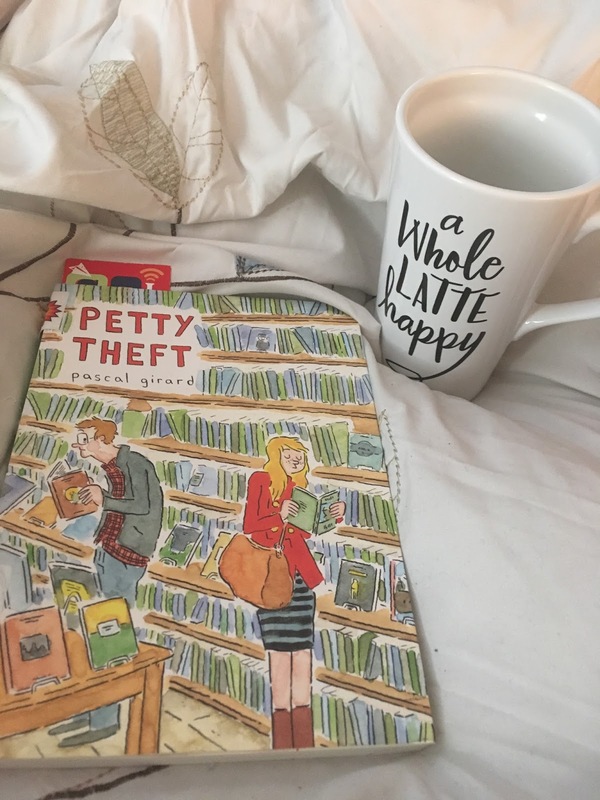 Good morning, fellow readathoners! 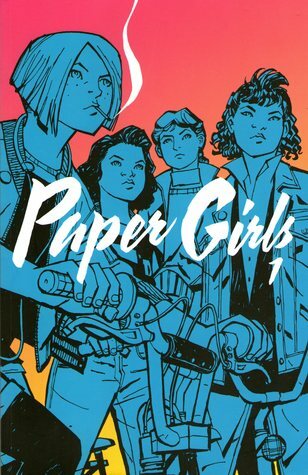 Who's excited to read?!? 1) What fine part of the world are you reading from today? I live in New Jersey and I am reading from the comfort of my bed because I have a cold and the kids are downstairs following that most sacred tradition of watching Saturday morning cartoons. 2) Which book in your stack are you most looking forward to? I'm excited to finally read We Have Always Lived in the Castle. 4) Tell us a little something about yourself! This questions gets increasingly tough when you answer it twice a year...I'm wearing a Star Wars t-shirt, I hope to take a break at some point today to fit in some yoga, I've worn glasses since I was seven, and I celebrated my 10th wedding anniversary this year. 5) If you participated in the last read-a-thon, what’s one thing you’ll do different today? If this is your first read-a-thon, what are you most looking forward to? I don't know! We'll see what the day brings! I've got a tall glass of water and Magpie Murders, my first book for today, and we're off! 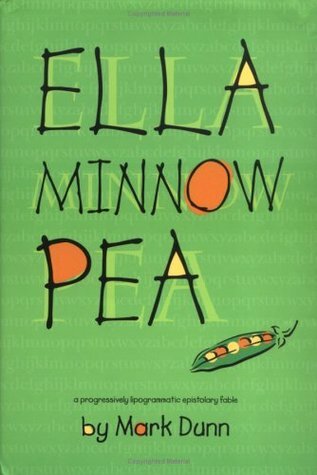 Ella Minnow Pea! I love that book! Looks like you're having a great day. Enjoy the second half of your readathon!